Discover the treasures of Earth !!! With all the fun mining games out there, this one just doesn’t cut it. I’ve had it installed less than 24 hours, have 1-2 hours of gameplay, and I’ve completed all the challenges. I’m also at the highest level. The gameplay is very basic. You can upgrade the oil aka fuel tank (how long the drill will run), the pipe aka shaft (how deep you can drill), and the offline earnings rate. After you reach a depth of 500m, the bonus items stop populating. Also, you can’t control where the drill goes after selecting one of three starting spots. I’d say this game is fun at first, but that’s just because I thought I could get drill bits that drilled faster, or maybe bombs, maybe there’d be obstacles, but as you progress, the game doesn’t really change and it doesn’t get any harder. This game is not worth your time. I have a big issue with the developers of this app because you’re not honest. In the app you can upgrade the part where you earn money offline not in the app and when you come to play you have accumulated x amount of money. Here is the part I don’t agree with. Once you have been gone let’s say one hour or even 24 hours you accumulate 25,000$ it gives you an option to double your earnings if you watch an add....(an add that puts real money in to the developers pockets) so now you’ve watched the ad and you except to see 50,000$ WRONG. You still only collect 25,000$. This is so wrong and deceiving, I’m more than positive this has to be legal issue because you’re promising 2x’s the earring for watching an ad while you’re collecting REAL money and you guys fulfill what’s promised. All your games are half decent but all of them are ruined by the obnoxious ads, I’m not against ads but the way you go about it is totally trash. It interrupts game play and just turns people off of your good games and half the audience that isn’t a paid review will tell you that. 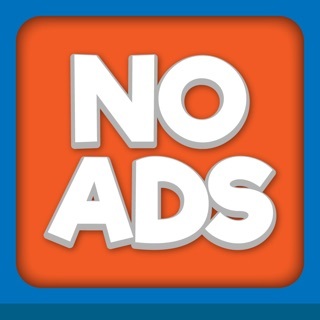 A better way to do it would be make the adds optional but for boosts I watch ads a bunch to get bonuses, but for your games how it interrupts you after EVERY dig and it lags while doing it it’s just obnoxious. Hopefully you fix it or look into it but I will continue to delete ur games if all I run into is add cancer.